I’m extremely happy to report that I’ll be making a trip to Helsinki, Finland in April. 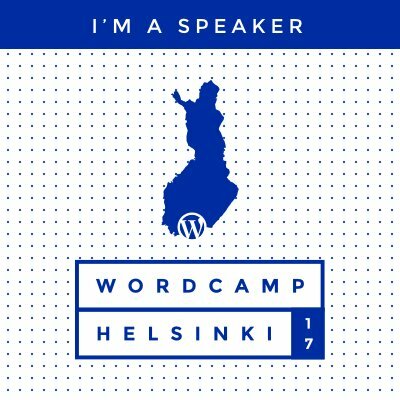 I’ve been selected to talk about configuration management in WordPress at WordCamp Helsinki. My talk is called Configuration Management in WordPress and here’s a little more info on what will be discussed. Moving data between environments in a tiered development workflow can be tricky and time consuming. It’s important to have content, options, settings and files synchronized across your tiers to ensure a stress-free development process. Understand how data is stored in WordPress and explore several different approaches to moving WordPress seamlessly from server to server for deployment. The event runs from April 21 -22 and will be held at Virgin Oil in the center of Helsinki. Let me know if you’ll be there, and if not, you can always catch up with the video on wordcamp.tv once it’s posted. Keep an eye on the twitter #wchel to see what people are talking about and learn more about the event.